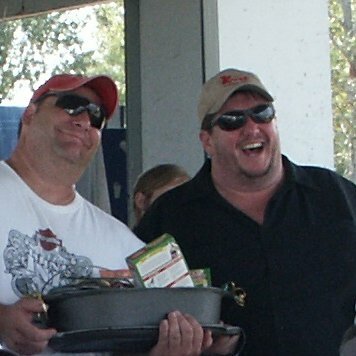 encore: 2009 Black Pot Cook-off - First Place Pork! The Black Pot Cook-off fundraiser was held at Angelle Park in Cecilia on October 4. Our friends, Brook and Sam, asked if we'd participate and Sean agreed. He is not a competition cooker, but thought it would be fun and besides, it was for a good cause. They hauled both our Cajun Grill and our Dixie Backwoods Smoker to the park on Friday night. We got there around 8:30 Saturday morning and lit the fires. Sam said she would register the team, but she needed a name. Sean quickly answered, "Team Grosse Affair"! We started cooking at 9:00. It was a beautiful day, not too warm with a nice breeze, perfect for barbecuing and hanging out with friends. Sean had marinated ten racks of pork spare ribs, which is what he was entering in the competition. He had also marinated some beef short ribs, which he had never cooked before and wanted to try. While he was putting the pork ribs in the smoker and the beef ribs on the grill, I started on the side dishes. First I gave him some thick cut bacon to crisp on the grill. Then I mixed up a large batch of my baked beans. 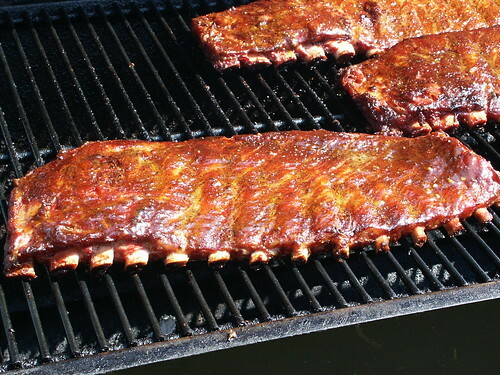 I put them in a disposable pan and placed them on the grill to slow cook. Sean season the rice dressing mix and I cooked it down for a couple of hours or so, then I mixed it in with a big batch of rice. 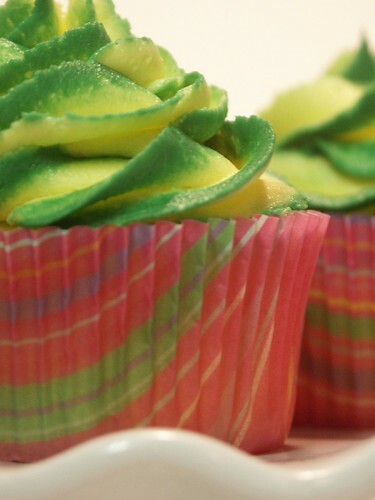 I had baked four dozen cupcakes, which I iced with buttercream in green and yellow, Cecilia's school colors. I donated them to be sold at the concession stand. When they started to announce the winners I wanted to walk over to the main pavilion, but Sean wanted to hang back because he really didn't think they would call our team. Brook headed over there and before we knew what was happening he was calling across the field for Sean to join him. Team Grosse Affair had placed first in the pork category! So I grabbed my camera and we all headed over there. The first place winners in each category were awarded an oblong black pot and lid, a small round black pot and lid, and various seasonings and mixes. After several pics were taken by family and friends, we headed back to the campsite. We were joined by several people who were there as spectators and others who had also participated in the cook off. Everyone wanted to get some of those award winning ribs. And, they had to check out his smoker, too. At the end of the night, when all was said and done, there wasn't a rib to be found! Everyone should be as lucky as I am to have a husband who cooks award winning food for them. It has gotten to the point that dining out for me is second to eating in. Everything Sean cooks, especially his ribeyes and pork ribs, always takes first place with me!